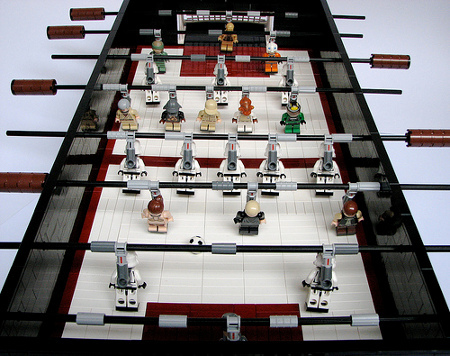 Now how cool is that – a Lego Star Wars Foosball Table which sees all of the foosmen being replaced by Lego Star Wars mini-figs? Imagine that, and more – this epic table is a definite win since the whole table itself is made out of Lego bricks – yes, you read that right. The entire table is one fantasy piece of Lego land, and we’re just stoked to see and read about the dedication of some people on this planet who are able to come up with some amazing things from time to time when one puts their heart, mind and soul to it, with this being one of them. When will a Star Trek version come out to appease those Trekkies?